Shipping Cargo to Ireland from the U.S.
Over the past 5 years, we’ve had thousands of international shipments to Ireland including everything from cars and motorcycles to entire household moves. It’s become a popular destination for expatriates, retirees and corporations. One of the main reasons for this had to do with the extremely low corporate tax rates in Ireland. As this tax rate began to climb in the U.S back in the mid 2000’s, many of the larger international companies decided to incorporate themselves here. This resulted in many families relocating to Ireland for work purposes, which meant moving their personal effects and household items across the Atlantic. We’ve also helped people ship goods overseas to Ireland for short term relocation or even special events. So whether you want to move the whole family to Cork or you need your boat transported to Dublin, we’ll make sure your experience goes as smooth as possible. Over the years, we’ve compiled a long list of items that we have shipped to Ireland. Some of the more regular transports we have made deal with household goods and the number of cars and other vehicles shipped number well over 10,000. Those are the most common, however we can also ship your motorcycle to any Irish destination, your boat, any pets you may want to travel with, items that may not fit in a standard sized container (like a work truck), and lots of others. Costs for international shipping services to Ireland vary depending on your location in the U.S, what you are shipping with us and where it needs to go in Ireland among other things. 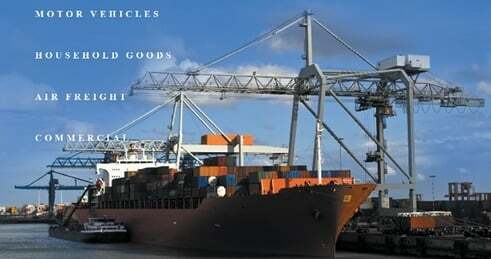 We also offer different container shipping options. You can purchase your own individual container or use a shared service if you only need a certain amount of something transported. Because there are so many different price points that come into play, the best way to get an accurate quote on the price of a shipment to Ireland is to fill out our free online form on this page. This will give us the necessary information to get you the most competitive rate.